When landlords come to me asking that I evict their tenant because they have not paid their rent, their first question is: How quickly can I get the tenant out ? Usually I answer that question with a question: Is there signed a lease? In many instances there is a written lease; however, in the self help era, landlords resort to the use of pre-printed form leases, especially in residential situations. Typically I discover two major pitfalls in the use of form leases. First, the lease has not been fully completed and critical terms have oftentimes been omitted. Second, a “notice on default” clause appears in the form that requires the landlord to give the defaulting tenant written notice of the default and a cure period to pay the delinquent rent. These scenarios can be problematic and will unnecessarily delay the eviction process, where time is everything. Form leases I have reviewed require landlords to provide defaulting tenants written notice of their failure to pay rent on time and a “cure period” to pay. I have seen cure periods that are anywhere from 10 to 30 days. Worse are those instances when the parties have failed to complete the form lease that permits the parties to determine the cure period by inserting the number of days into a blank space on the form. 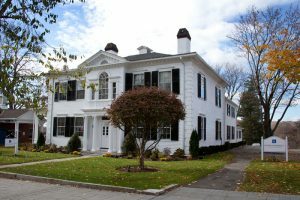 Because Connecticut law requires a landlord in nonpayment of rent cases to serve a defaulting tenant with a statutory notice called a NOTICE TO QUIT before starting an eviction lawsuit, the added cure period unnecessarily delays the eviction process until after the Landlord has complied with the notice requirement. This effectively requires landlords to provide tenants with a double notice; the notice required by the lease and the statutory notice to quit. To avoid delay in the eviction process, when using form lease, landlords should use caution by carefully reading and completing the form lease before signing. Unwanted provisions should be stricken and initialed by both parties. When in doubt ask your attorney to review the lease before signing.